Since I attended the UK PGA’s Advanced Rules and Refereeing Course in March last year, many friends and fellow Rules enthusiasts have asked me whether I did so in order to become a golf referee. That was never my intention; I was taking the course, and the subsequent examination, to enhance my credibility as a Rules expert. 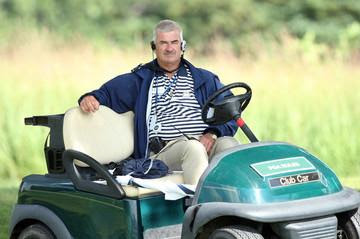 I have never had any interest in officiating at golf events. My main objective is to help others improve their understanding of the Rules. However, the truth is that I am a golf referee, and if you play competitive golf then so are you! What justification do I have for saying this? Because, in all stroke play competitions, the Rules impose a responsibility on you to protect the interest of every other entrant by ensuring that anyone that you are playing with fully complies with all the Rules. This does not just apply to the player’s marker but anyone else in the competition that witnesses a breach of the Rules by any other competitor. The responsibility for knowing the Rules lies with all players. In stroke play, the player and his marker have an explicit responsibility for the correctness of the player's score card. There may, however, be exceptional individual cases where, in order to protect the interests of every other player in the competition, it would be reasonable to expect a fellow-competitor or another competitor to bring to light a player's breach of the Rules by notifying the player, his marker or the Committee. In such exceptional circumstances, it would be appropriate for the Committee to impose a penalty of disqualification under Rule 33-7 on a fellow-competitor or another competitor if it becomes apparent that he has failed to advise the player, his marker or the Committee of a Rules breach with the clear intention of allowing that player to return an incorrect score. You will note, in the first sentence of this Decision, that as well as the player, the marker has an explicit responsibility for the correctness of the player’s score. And yet, we have all played rounds of golf where the marker has no clue as to how many strokes the player has taken on a hole. I am sure that we have all witnessed occasions where a marker has not filled in the player’s score card for several holes and just asks retrospectively how many strokes he had taken. Rule 6-6 says, “After each hole the marker should check the score with the competitor and record it”. Note the word ‘check’. The implication is that the marker should be counting the player’s strokes and confirming the total with him or her at the end of each hole. Q. In a match, a player discovers at the 2nd hole that he has 15 clubs in his bag contrary to Rule 4-4a, but his opponent refuses to apply the penalty. The extra club is declared out of play and the match continues. The Committee disqualifies both players. Is this correct? A. Yes. Since the players agreed to waive the penalty, they should be disqualified under Rule 1-3. I hope that this article encourages you to ‘referee’ your fellow competitors more diligently in stroke play competitions. It is your duty to all the other competitors. Of course the best way to do this, in order to avoid the risk of an unpleasant incident, is to stop a player before he breaches a Rule. Giving information on the Rules is not advice and is to be encouraged. For information on my book - ‘999 Questions on the Rules of Golf’, or my iPhone application – ‘Golf Rules Quiz’, please email me at rules at barryrhodes dot com. I did not know that rule about a matchplay DQ for excusing a rules violation. That's very interesting. Knowing the rules is also a responsibility for good sportsmanship. In Harvey Penick's book "And if you play golf, you are my friend", he tells a story about Tom Kite - a shot out of the lead on Sunday - playing with the leader - the guy leading the tournament hit a ball into ground under repair. His drop did not take complete relief from the GIR (feet are supposed to be outside the marked area, not just the ball). Kite stopped him before he played his shot, saving him a two stroke penalty. Kite, who lost the tournament by one shot, said that he really wanted to win, but didn't want to win that way. It would have been poor sportsmanship to wait until after he took his swing to tell him then call the penalty. You'll have to explain. I'm not with you. I love your Tom Kite story, as told by Harvey Penick, and thank you for bringing it to our attention. Golf stands out as a sport where both professional and amateur players self-regulate the Rules and call penalties on themselves. Long may it remain that way. Donal Hughes, Irish Examiner golf SpinDoctor here. This discussion leads me to a question sent me by readers of my blog. In matchplay, during a hole, must a competitor divulge to an opponent how many strokes he has taken when requested. I was kidding, Barry...using the 5 minute rule as a metaphor for missing your posts and discussions. They are always enjoyable, educational, and a test to make sure I get the rule right. Q. In a match, B asks A how many strokes he (A) has taken during play of a hole or on a hole just completed. A refuses to give B the information requested. What is the ruling? A. A incurs the general penalty of loss of hole (Rule 2-6) for failing to act in accordance with the requirements of Rule 9-2a. The penalty applies to the hole being played or, if the hole has been completed, the penalty applies to the last hole played. I recently played and won a 36 hole stroke play competition, only to be dq an hour afterwards under rule 7-1 for practising between rounds. I had asked permission and been granted the right to practice the previous year, and informed the majority of fellow competitors of my intentions following the first round, as the following days start times had not been published and I wanted to kill some time while this was done. I then informed the other players of their respective start times. Not a single one questioned me on the fact that I had practiced on either day of the competition, but before starting the second round, a player told a person not connected with the competition that they thought I'd breached rule 7-1 but neither of these people approached me to inform me before or after the final round. I believe the non competitor called a dispute after play had finished and the cards had been submitted placing the player in a difficult position, as they have now committed a serious breach of etiquette under rule 33-7 decisions(33-7/9). I have lodged an appeal under this rule, as well as under Rule34-1b. And suggested that there is a precedent for allowing practice under Rule7-1. How would you advise the committee to rule on this matter? It seems to me that you clearly breached Rule 7-1, incurring the penalty of disqualification. A Committee may permit practice on the competition course between rounds of a stroke-play competition, but this would have to be formally announced to all competitors before the date of the competition. I do not agree that the player who informed a non-competitor of your breach committed a serious breach of etiquette; this seems to me to be a perfectly acceptable and tactful way of notifying the Committee of a breach of the Rules. I think you may have misunderstood my reason for posting my question, and I shall attempt to explain it. I have played golf for over 30 years. 20+ to a single figure Handicap, but with approximately an 18year break from competitive golf while I raised my family. My record, during this time has remained unblemished, as I have always strived to play fairly, by the rules. If I am aware, or made so by others that I have breached a rule, I call the penalty on myself. Whatever that may be, even in non competitive rounds. It transpires that I did indeed inadvertently breach rule 7-1 in this instance, but I was completely unaware of the fact I had done so, as were 99% of the competitors in the competition, even though I had stated, perfectly innocently prior to playing a few holes after my first round. Had I been made aware of this before playing, I would not have done so. If anybody had objected to my doing so for any reason at the time, I would not have gone out. Had I been made aware of the breach during or after playing that evening, I would have dq'd myself. Had I been made aware before, during or after round 2. I would have either wd or dq'd myself from the competition. The committee were also not informed of the breach "in a timely manner" to paraphrase the transcript of the rule above. The competition was closed before the committee were notified of any breach, and even then, were not furnished with all of the details. Many of the members present viewed this as an attempt to alter the result of the competition after it had been declared, and were very vocal in their condemnation of such activities. I simply accepted that I had made a mistake and if I had broken the rules I had not won. It was later that I learned a fellow competitor had the knowledge of my error, and I couldn't understand why they had chosen not to inform me during play as it was clearly beneficial to them to do so, as I was leading at the time. It was then that i remembered an incident from about 25 years ago where a player had been penalised for taking similar action. My first instinct was to look up a ruling on disputes, as this clearly was a dispute. I read rule 34, and all of the exceptions, and immediately saw that this rule applied to the situation. It was then that I decided to Lodge an appeal against the dq, as is my right if there is any doubt. Further research into the non disclosure of information to a player of a breach, led me to this page, where the decision33-7/9 fitted the circumstances. I disagree with your opinion that the player in question did not commit a breach of etiquette, as the transcript above describes their actions pretty much to the letter. I'm awaiting the result of my appeal, and I will, of course abide by the committee's decision. In your original email you said, "I recently played and won a 36 hole stroke play competition, only to be dq an hour afterwards under rule 7-1 for practising between rounds." I assumed that this was before the competition had closed, which is defined as when the result has been officially announced. In most Club competitions this is when the prize is been handed to the winner. If there is no prize-giving ceremony then it is usually when the result has been posted on a competition notice board. If you had received the prize, as above, then I agree that it was too late for the Committee to have imposed the penalty of disqualification, providing they they were sure that you were not aware of your breach before that time. As for your interpretation of serious breach of etiquette, I see no justification for your view and we will have to agree to disagree. decision 33-7/9 contains the words "exceptional individual cases..." and "exceptional circumstances..." which are not that explicit. Could you comment on these or provide specific cases where the rule should/should not apply? In my opinion, the word exceptional does not have to be taken too literally. If a third player in a group realises that a Rule has been breached, but has not been included in the score for the hole by the player or their marker, they should notify the player and marker that they are duty bound to report the matter to the Committee. Similarly, if anyone else witnesses a breach of Rule, even though they are not necessarily a competitor, they should do same. Unfortunately, though golf is higher in player integrity than nearly every other sport, there are still instances of cheating, however inconsequential they may seem to be to the person(s) ignoring the penalty they have incurred. I completely share your opinion.